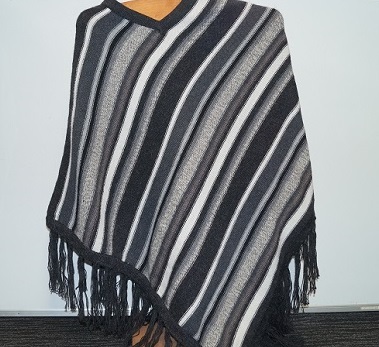 The Alpaca Poncho is the fashionable answer for our cooler weather. Not only does it look stunning this Poncho has the added advantage of two looks for the price of one! One side is a mix of similar colours woven in a striped pattern while the other side has more detail to the pattern- the choice is yours! One size fits all.